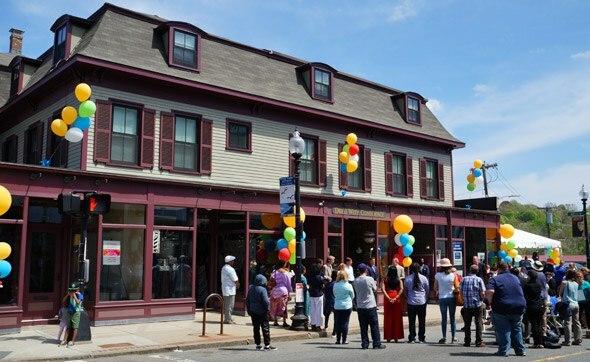 City officials joined with residents, new store owners and Historic Boston on Fairmount Avenue today to re-dedicate the Vertullo Building. The building, which dates to 1868 – the year Hyde Park became a town – has space for five stores on the first floor and four apartments above. Historic Boston bought the building in 2011 and spent $1.3 million renovating it.